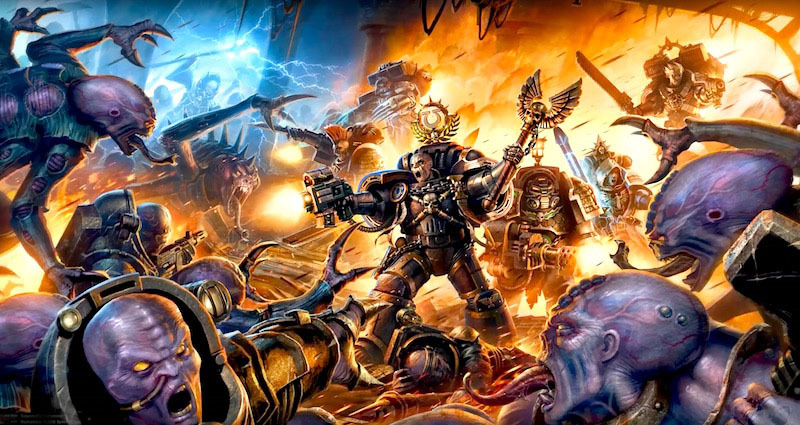 It’s Tuesday, so it’s game day here on spalanz.com – and today is a very exciting game day blog indeed, because I got to play an awesome game at the weekend, and really can’t wait to talk about it! Let’s get going! 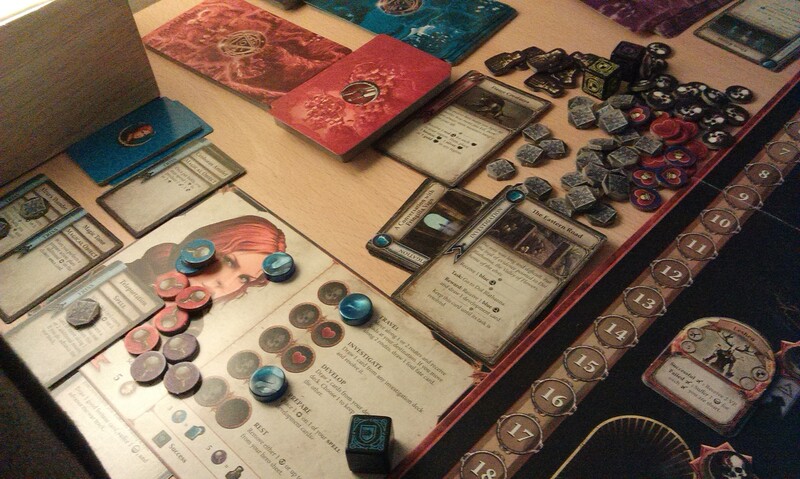 After something of a hiatus, my longtime gaming buddy Tony came round at the weekend and we basically had a day of gaming, trying out a couple of new games he has bought. I haven’t been buying all that many games lately – indeed, I’ve actually been downsizing my collection in the wake of all the plastic I’ve been investing in! – but in the couple of months since we last played anything, he’s gotten quite a few new ones. We started out with The Hobbit deck-building game from Cryptozoic. This follows the same basic premise of all the other Cerberus-engine games from them, such as DC and Street Fighter, and the only real difference that I could see came in the form of the One Ring card. The “super villains” this time are three arch-enemy cards that form a stack, each separated by loot cards – powerful artifacts such as Glamdring and Sting, as well as “manoeuvres” that act much like superpowers. When you defeat an arch-enemy, you take a treasure card then everyone suffers an attack, discarding cards. 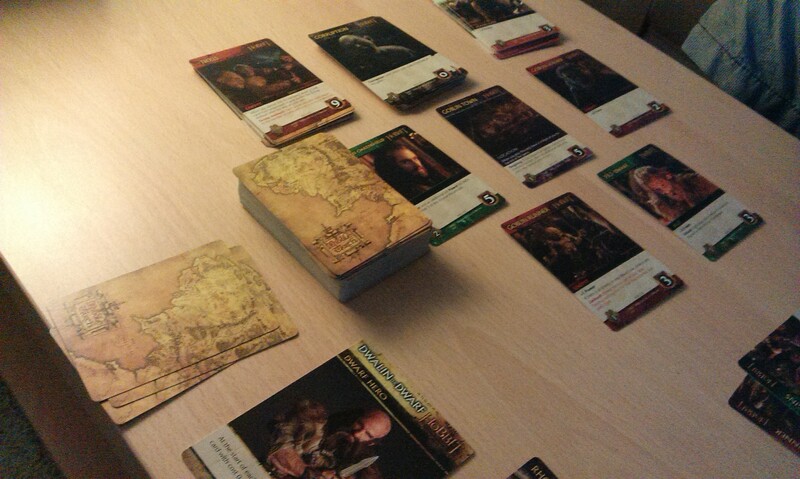 There’s the One Ring card that can also be found in this manner, and is initially placed to the side of the line-up – cards such as Bilbo and Gollum will let players take control of this card, which functions as a sort of ongoing-effect. It’s actually really nice, especially if you happen to have a Bilbo card to take it, then your opponent takes it back with a Gollum card (screaming “My precious!” is mandatory in this instance). I lost this one, 86 to 96. But let’s move on to the main event! Released late last year, Tony has been eagerly awaiting this game for what feels like ever, as he’s a big fan of both the video game and the novels. He’s often talked to me about them, and they do sound intriguing, but I can’t say I’ve ever shared his enthusiasm for it. Until now, of course! This game is just awesome. You play one of four (presumably) iconic heroes from the world, and you go about the board trying to complete quests in order to score victory points, and the winner is the person with the most who has completed three quests. I have recently come to realise just how much I love games like this. The sort of games that take up at least two tables, that feature massive boards, and allow you to truly immerse yourself in the world as you go through. Even knowing nothing about the lore, I felt like I was able to track a story of my own here, which is a mark of just how successful the game works I suppose. This in itself is a new experience for me, as I usually have some idea of what I’m doing in thematic games like this! So that’s definitely in its favour! The quest cards are really cool, as they have your main objective, as well as two side quests you can complete for additional VPs, and a support quest that another player can complete for you, both of you then scoring. This adds a degree of co-op to the game that I thought was really interesting – it’s still a race, but you’re not trying to outright screw each other over, as you might want to complete a quest for them, or get them to complete one of yours. We were only playing two player of course, but I can see how this support mechanic could lead to forming brief alliances as you try to get ahead of other players. On your turn, you can take two actions from a small menu of such things – move, investigate, develop, prepare, and rest. While you can never actually die in the game, taking wounds reduces what you can actually do during your turn, and can force you to rest to heal up. Developing yourself allows you to draw cards from a small deck of personalized skills, customizing your hero for what you want to do. Preparing then allows you to potentially buff those skills, or at least make them playable in future rounds. I really love the investigation action, though, because of its variety. When you move, you travel along the dotted line between locations, and pick one ‘lead’ token of a colour available at that location – red, blue or purple. These can be traded in later for tokens that will allow you to complete your main quest, and each hero has a different ratio of leads to quest tokens, so some might have an easier time converting blue tokens, for instance. Investigation will sometimes give you even more leads, but can also provide tasks that provide greater benefits when you accomplish them, or setbacks, such as combat or just delaying you. At the end of your turn, you have the obstacle part. Each location of the board is part of one of six regions, each colour-coded. There’s a track down the side of the board where you can amass both enemy tokens and skull tokens – at the end of your turn, you must then face whatever is in that part of the track. The skulls are Foul Fate tokens that cause you to draw from that deck, and usually awful things will happen. Enemies (the token in the bottom-right of the above picture) have two attributes, swords and shields. To defeat them, you must roll the three battle dice as well as your hero dice, and equal or exceed both stats – to symbolize both defeating the monster and escaping unharmed. If you fail on the swords, the monster remains in the region, and you suffer any penalties listed on the token. If you defeat it, but fail to equal the shields, you can still claim the successful combat but you may find yourself wounded or something. It’s a really interesting way of dealing with combat, making it more than just outright defeat of something. The Foul Fate mechanic – while awful – is also really interesting, as you can take these tokens onto your hero sheet as well, causing you to draw a card if you wish to take the action you placed the token on. It really adds a lot of depth to the game, so that you aren’t just running around killing stuff and completing quests to win! Like I said, I really enjoyed this one – I even won! – and hopefully we’ll get to play it some more over the coming weeks and months. Anyhow, this blog post has trundled on for quite enough time now, so I’ll leave it there! 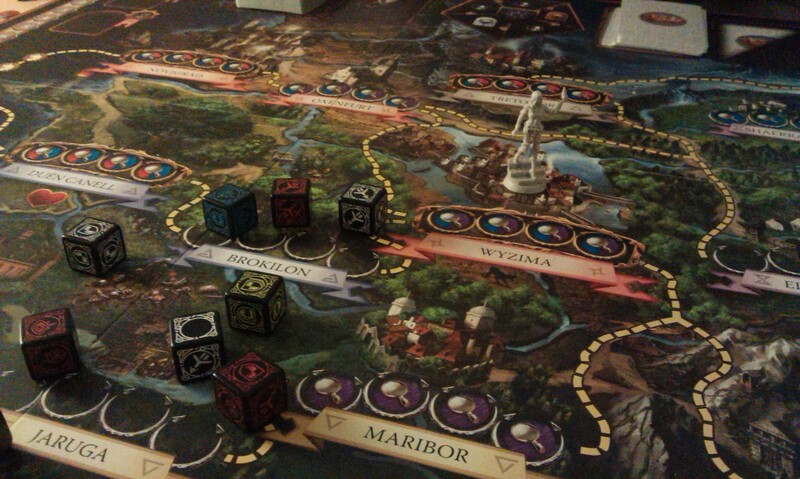 Suffice it to say, though, that Witcher boardgame is amazing! Author spalanzPosted on February 23, 2016 February 22, 2016 Categories board gamesTags adventure games, board games, card games, Cryptozoic, deck-building games, Fantasy Flight Games, game day, Magic the Gathering, The Hobbit, The Witcher3 Comments on Games Night!